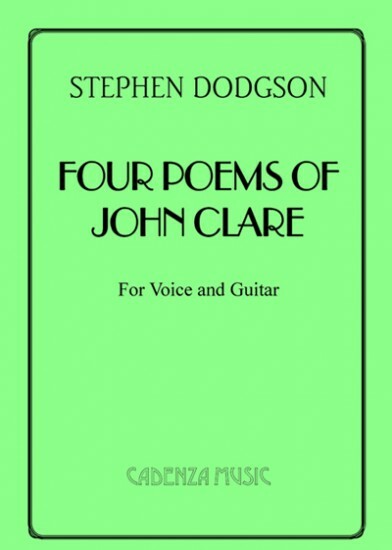 John Clare (1793 - 1864) was famous for his poems depicting all aspects of country life. Sadly the pressure of the fame which this brought him led him to committal in a Northamptonshire Asylum, where most of his best work was written. This song cycle sets four of his most famous poems in a very illustrative and pictorial way.